The jacket comes equipped with the SHIMA ArmorPlus system, featuring a CE Level 1 protector on the back, and a set of Level 2 protectors on the shoulders. Under impact conditions, however, the material instantly hardens, absorbing most of the force working to keep your body safe. Strategically placed perforated leather elements provide extra airflow without sacrificing protection. All-natural leather of appropriate thickness has been used to provide additional protection. MIURA jacket have reflective elements that give safety at night. Specially-designed accordion-style elastic areas guarantee freedom of movement, while the extra fabric inside the panels provide additional protection. The jacket features a pair of standard connecting zippers, enabling you to connect it with your SHIMA jeans. Use the 360° zipper for maximum safety, of the short zipper to increase comfort. Our specially designed safe seams provide extra ripping protection. The width adjustment system ensures great protection, while at the same time remaining comfortable and stylish. the material instantly hardens, absorbing most of the force working to keep your body safe. The shoulder sliders are made from a high-quality, hard synthetic material. The suit comes equipped with the SHIMA ArmorPlus system, featuring a CE Level 1 protector on the back, and a set of Level 2 protectors on the shoulders and elbows and knees. MIURA is a 2-piece, ergonomically designed women’s suit made of high quality cowhide natural leather. The suit features CE-certified internal protector system, including the ArmorPlus yellow back protector. In the shoulder area there are additional rigid external protectors while the tibia area is prepared for knee sliders. 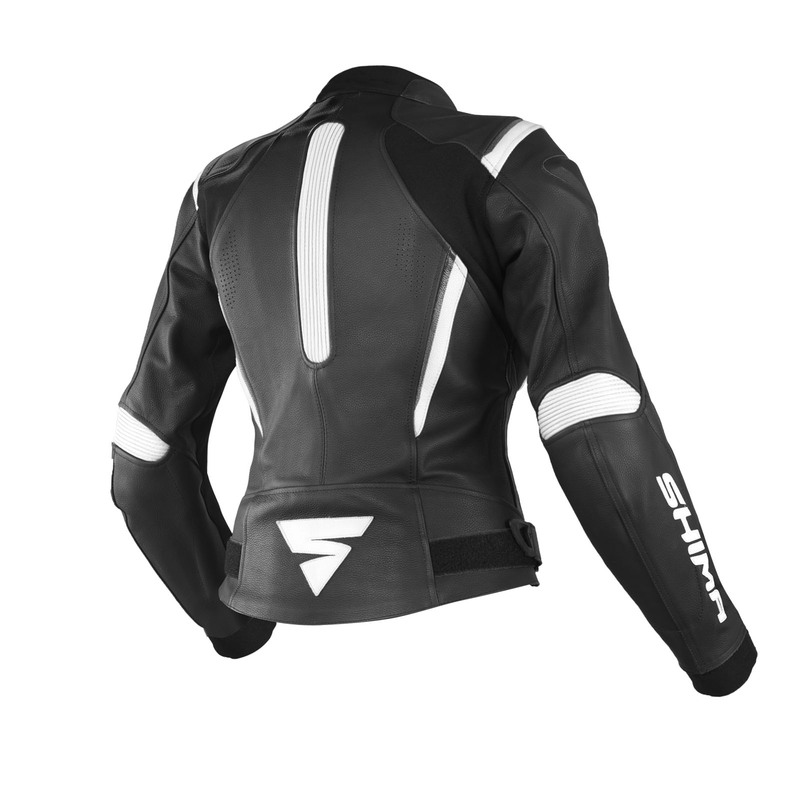 Flexible, stretchable inserts in the knee, elbow and back area ensure maximum comfort while riding. The jacket is additionally equipped with a short zipper for quick connection with other SHIMA trousers. This model has localized perforation on thighs, arms and chest to provide better ventilation. Thanks to this method the seams are not weakened. In the selected places a flexible material has been used to make the fit even better for female silhouette while giving the freedom of movement. Women's glove designed with the anatomy of the female hand in mind - longer fingers and more slender silhouette.